Cosmetics magazine is a trade beauty brand that has been established since 1972. 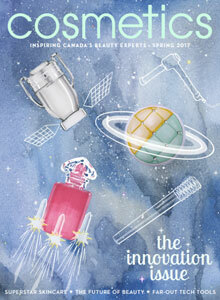 With industry veteran and longtime publisher Jim Hicks at the helm, it hosts the annual Cosmetics Outstanding Achievement Awards (COSAs) and the Fragrance and Beauty Awards, and is committed to supporting and celebrating the work of Canada’s beauty advisors year-round through its digital publications. It is now owned by Cosmetics Alliance Canada and has an exciting new team, headed up by editor (and self-professed beauty addict) Alex Laws. Subscribe to Cosmetics Magazine to receive biweekly newsletters filled with updates and product innovations in our industry!